I did it! After wanting to try making pizza on the BBQ for years, I finally did it on the weekend. As you can see, the shape of the pizza was, uh... interesting, ha! For some reason I have such a hard time rolling dough out. & then bringing it outside & throwing it down on the BBQ... well, lots of holes were made. But the main point is how it tasted. & it was delicious. SO GOOD. I think next time I'll be buying pizza dough that is already SHAPED, ha. BUT! 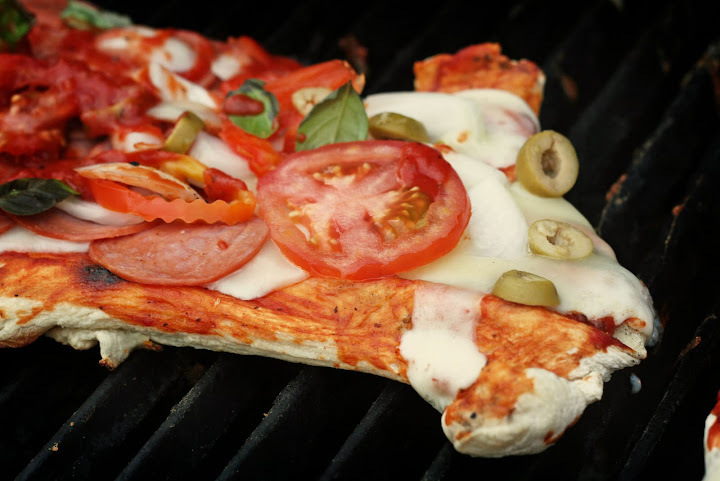 It's super easy to BBQ pizza. Roll the dough out (I used dough from the grocery store. Sometimes I make my own pizza dough, but not this time. ), coat one side in olive oil & set on the hot BBQ. Once it starts to bubble, coat the top side in olive oil & flip over. Put your toppings on (pretty quickly! 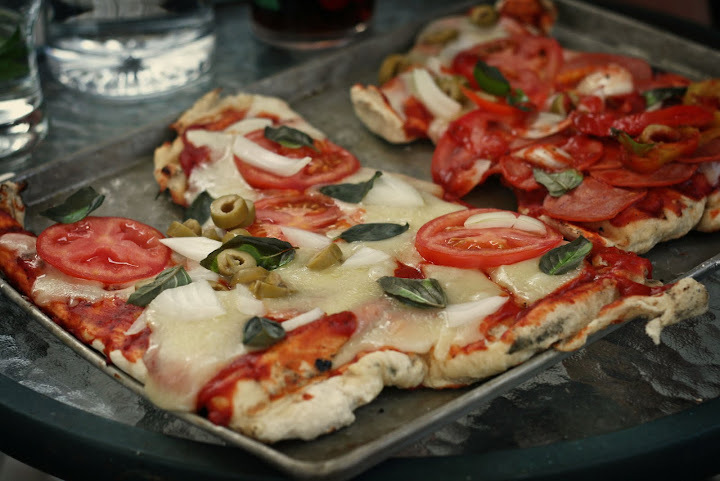 Be sure to bring a tray out with all of your toppings all ready to throw on) and close the lid. 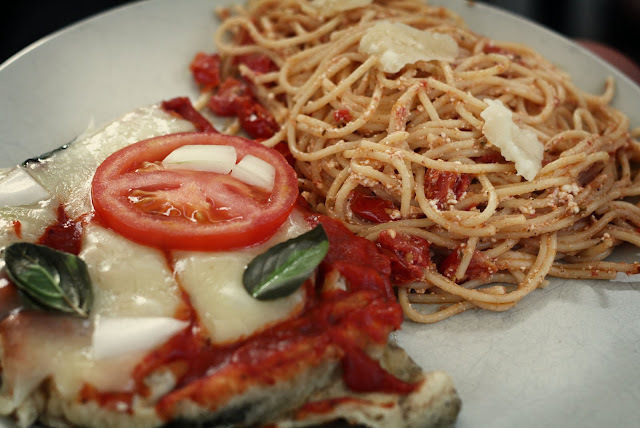 Once the cheese starts to melt, it's done! (Well, check the bottom to make sure it looks cooked enough, ha.) & enjoy. So good. I'll definitely be doing this again! 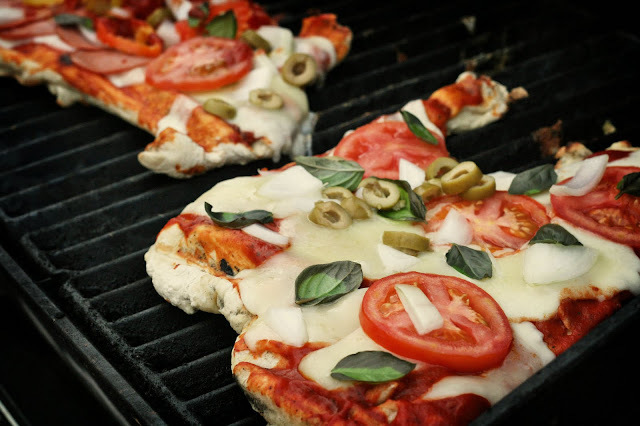 Have you ever made pizza on the BBQ? To see more things I want to do, check out the list! & don't forget about the giveaway for Catshy Crafts! Amazing!! I need to do this ASAP. I always just do it in the oven! That looks so yummy! I've never tried that! this looks so yummy, regardless of if it's in the shape of a circle or not! You know, I've been seeing this idea for ages and have yet to try it out. It seems so simple yet something is holding me back. No more! 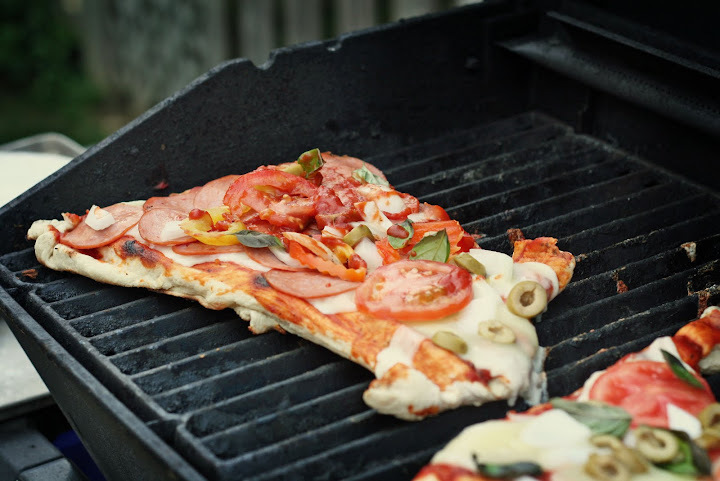 Pizza on the grill will be made at some point this summer. I LOVE making bbq pizza. I usually put it on a round metal pizza pan and grill it that way. It turns out great!